If you own a truck or SUV, Handcrafted Car Audio knows that getting in and out of it can be more difficult than with a car. One of the most useful items you can add to your vehicle is a set of steps. They come in many shapes, sizes and finishes, and we offer all of the popular styles. 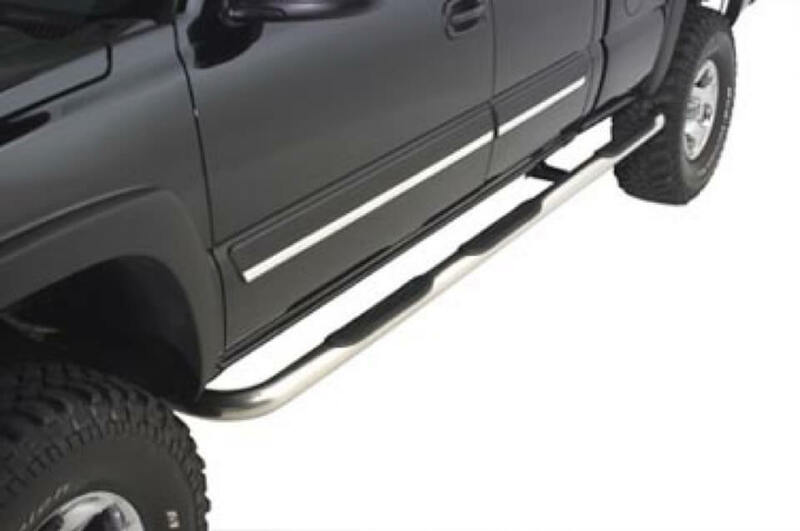 Here is an explanation of our most popular truck and suv steps. As times changed, so did the styles of running boards. Our modern styles use sleek designs that fit in perfectly with the body lines of your contemporary vehicle. They often start flush with the body, right behind the front wheels, and extend back to behind the rear doors, ending flush again with the body. Popular finishes are black, stainless, and a combination of black and stainless. Nerf bars have been popular for decades as well. These are tubular steps that come in diameters from 3” to 6”, and in either round, oval or square tubing. If you own an SUV, they will go from wheel to wheel. If you own a truck, they can stop at the end of the cab, or go wheel-to-wheel for many applications. Popular finishes are black and stainless steel. N-Fab steps take the idea of nerf bars to another level. 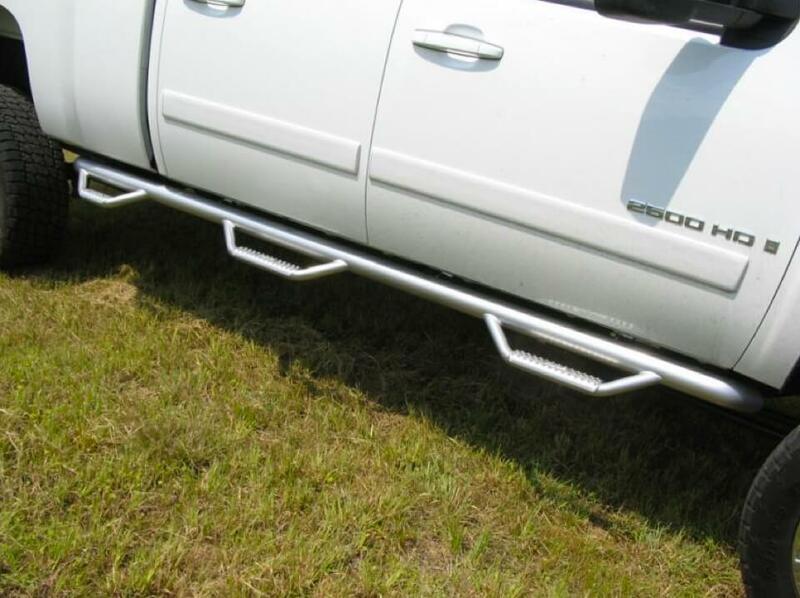 They combine a tubular bar that runs parallel to the side of your vehicle, along with hoop steps that extend down several inches, giving you a lower place to rest your foot than normal bars. They come in multiple configurations, ranging from cab-length, full-length and full-length with a third step for side bed access. Popular finishes include black, textured black and stainless steel. Power steps or motorized steps have been on the scene for a while now, but recently hit their stride as more and more people realize their utility. Imagine this scenario: You walk out to your vehicle, which looks as if it has no visible side steps, and you open one of the doors. In less than a second, the motorized steps extend into position, dropping down either 6 or 9 inches, depending on the model you choose. If it is night time, you will notice the integrated LED lighting that illuminates the steps along with the ground around them, giving you much- needed visibility. After the last person enters the vehicle and the doors are closed, the steps retract back against the body after two to three seconds and go back to being invisible. 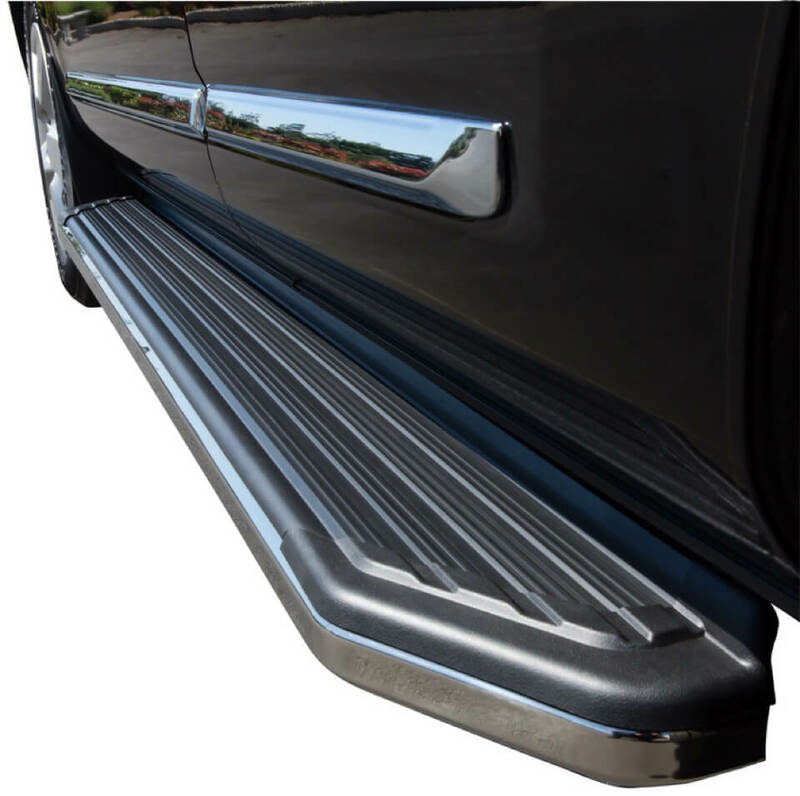 Since these steps are normally tucked up against the vehicle’s body, they also won’t get covered in road grime like normal steps, so your footing is more secure. If you would like to add a little bling to the side of your vehicle, we offer polished stainless trim for the front edge of the steps, giving them a look that is subtle, yet classy. 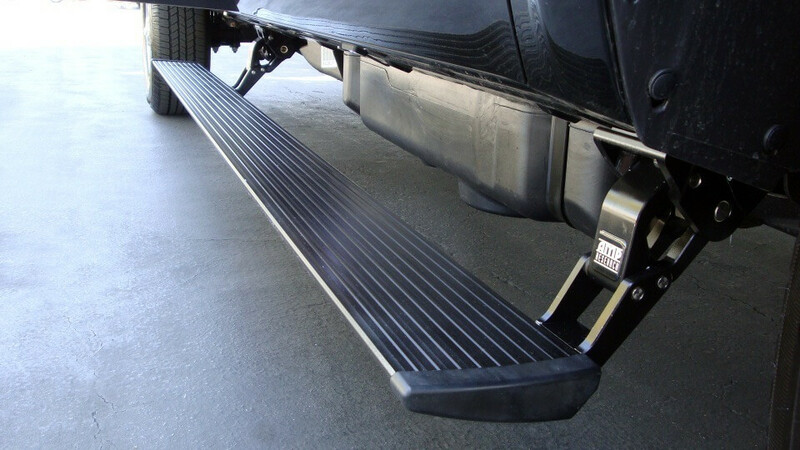 Now that you have decided to get a set of truck steps, you have to decide who is going to install them. Handcrafted Car Audio is Arizona’s leading, award-winning automotive retailer, and our state-of-the-art facility is ready and able to handle the install for you. Our installation work is known to be the finest around, and we promise to treat your vehicle with the utmost care while it’s in our possession. We invite you to stop by Handcrafted Car Audio with your vehicle and get to know us better. Let us give you a tour of our facility so you can see our capabilities. One of our team members will work with you and will take all the time needed to find the best solution for your needs.